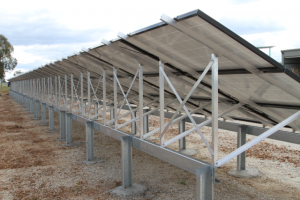 Ground mounted systems are more commonly used for medium/larger solar power systems or where the roof space is inadequate. There is slightly more freedom with a ground mounted system as they usually start with a blank piece of land. The system can be faced in any direction and at any pitch (usually between 25° and 40°) – the aim is just to capture as much light as possible. As a result of the solar PV panels being tilted, there is much more air flow around a ground mounted system than there would be on a roof-mounted system. This can increase performance as solar panels perform better when their temperatures are kept cooler. Ground mounted system can also be installed as tracker systems. This means that the solar panels tilt and move so that the panel is always perpendicular to the sun. In some cases this can give you a 30% higher yield than a fixed ground mounted system. Tracking systems are usually installed slightly differently – almost like its installed on a lamp post. 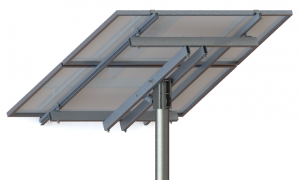 This gives it stability to with stand wind as per the Australia standards but also the ability to tilt and keep the solar panel at the optimal angle to the sun. 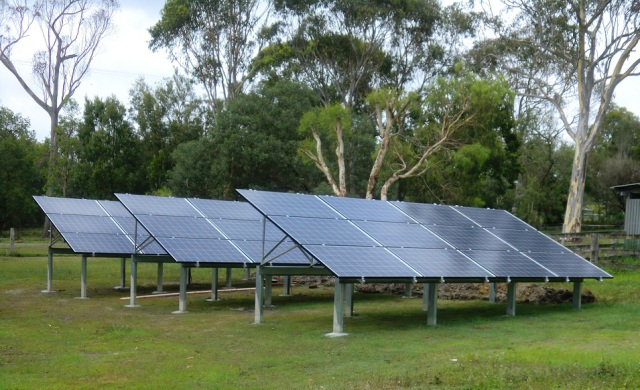 Here at Evolution Solar Sunshine Coast our preferred mounting system is GroundLock (for ground mounted, fixed position systems) and PoleLock (for tracking systems). GroundLock and PoleLock have a 10 year warranty and are compliant with Australian/New Zealand standard on wind actions AS/NZS1170.2. 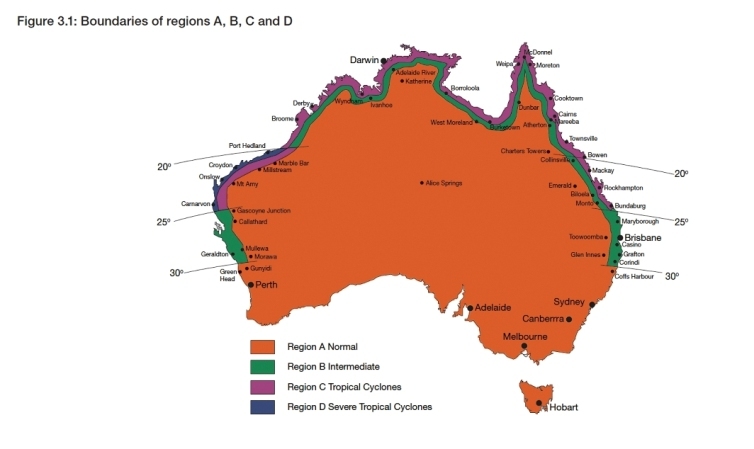 GroundLock has options that are pre-approved for wind regions A, B and C while PoleLock is pre-approved for wind regions A and B and is therefore suitable for installation across the majority of Australia. (Click here to see the wind regions).